"There are two ways: one to life and one to death, but the difference between the two ways is great. The way to life is this: First, you shall love God, who has created you; second, your neighbor as yourself. Whatever you do not want to happen to you, do not do to another." As a layperson with no training in the field of biblical studies. 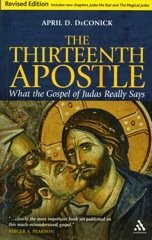 I find am I curious about the relationship between that quotation from the Didache, and the paasages contained in the Gospel of Mark 12:28-34 and the Gospel of Matthew 22:34-40. Do these three passages reflect a tradition that extends across the breadth of the polydoxical spectrum of the period after the death of Jesus, and before the rise of the orthodoxy exemplified by the Nicene fathers? This is off topic. . I simply take the occasion to ask that you click on Making My Way Blog to read "Ed Jones on Fascinating New Research on Jesus Studies" for one reconsruction of "Christian" Origins on the chance hat it might prove worth your while.